The new planner for April 2016 to March 2017 is now available to download below! 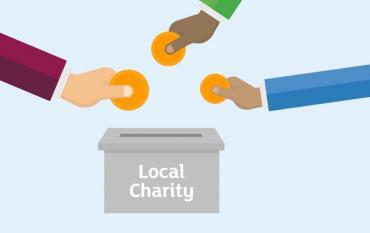 Voting is now closed for Sainsbury's Local Charity of the Year. Unfortunately we were unsuccessful in our bid, but we'd like to that all of you that voted for us. Vote for Take a Break Warwickshire to be Sainsbury's Local Charity of the Year! 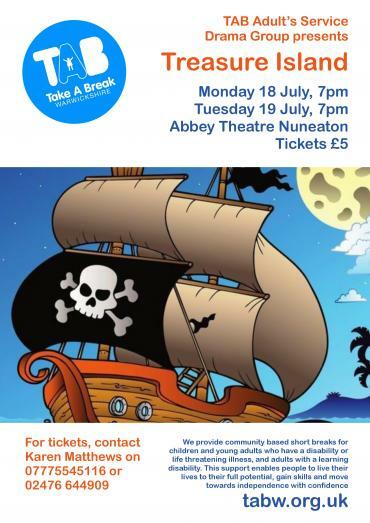 The TAB Adult's Service Drama Group will be returning to the Abbey Theatre to perform Treasure Island on Monday 18 July and Tuesday 19 July! Join us for TAB's 20th Anniversary Garden Party! 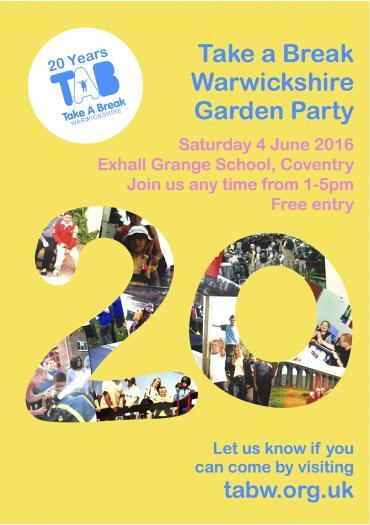 This June, Take a Break Warwickshire will turn 20 years old. TAB started in 1996 as a project with only two years of funding, but has grown into a charity that supports over 500 families across the region. 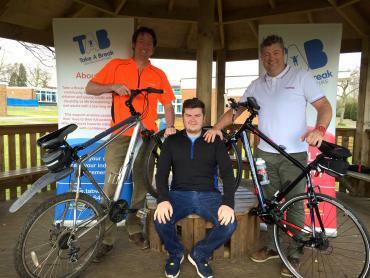 Find out about Simon, Simon and Nathan's fundraising challenge! 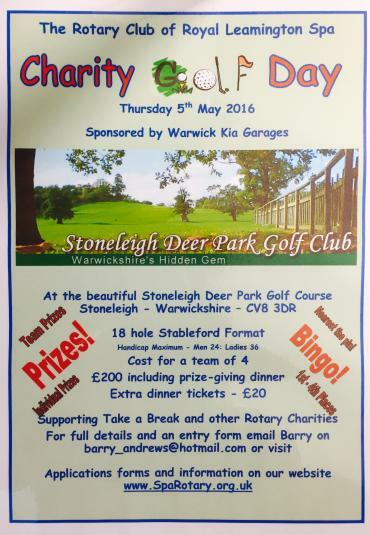 The Annual Charity Golf Day will be held on Thursday 5th May 2016. The main beneficiary in 2016 will be Take a Break Warwickshire. 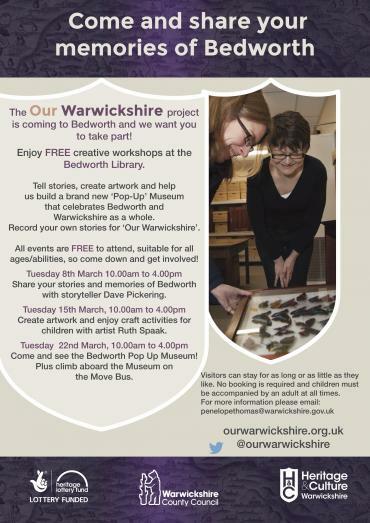 Be a part of the Our Warwickshire project, and get involved in these great events!